Only steps away from a white sandy beach, the Illusion Hotel offers travelers great service and fantastic value for money. The hotel offers its guests reserved sun loungers and palapas for shade at the beach, located only half a block away. You are also walking distance to 5th avenue and all attractions in the center of Playa del Carmen, this boutique hotel is a great option if you want to get out and explore the destination. The rooms at the Illusion boutique hotel are comfortable and all come equipped with air-conditioning, ceiling fan and cable television. Every room has a safety deposit box (laptop dimension) and the hotel offers voice over IP (VOIP) phone service that allows for low cost international and local calls from your room. The Wi-Fi is included and available in both the common areas and in the rooms. All rooms have a balcony or french balcony overlooking the interior courtyard, or the Caribbean. Many of the rooms are over-sized and different categories offer different amenities for all tastes. You can opt for a room that offers a a microwave and tea/coffee maker in the Prestige category. The central location of this hotel will allow you to walk and encounter a multitude of restaurants, bars and cafe's. You are minutes from 5th avenue, the pedestrian walkway that runs the length of town in Playa del Carmen and along with the great shopping, offers places to dine for every taste and budget. Looking for something specific? Check out our list of restaurants in Playa del Carmen or read our blog that has many restaurant reviews. There is a small rooftop pool available to all guests. 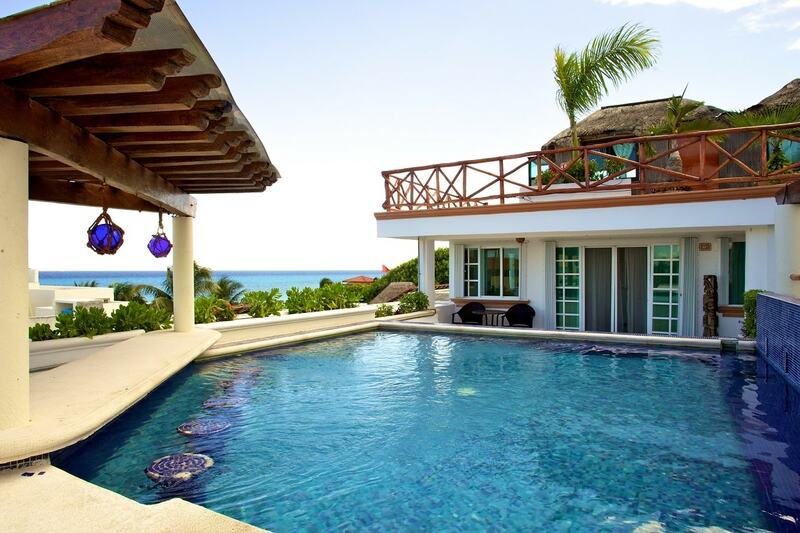 With it's proximity to the beach, you will have access to various water sports. You can also find bicycle rentals within a few blocks. There are many activities in Playa del Carmen and the surrounding areas including snorkeling, visits to the Mayan ruins, swimming with whale sharks (seasonal) and even Eco-parks for you to choose from. We have an extensive list of things to do in Playa del Carmen and offer discount tours. Rooftop ocean view private cabins are located on the upper terrace at the Illusion Hotel. Therapies offered are: reflexology, aromatherapy, holistic treatments and a variety of massages and other services. Beach weddings made easy! If you want to plan your destination wedding in Playa del Carmen, just get in touch - we are happy to help... Not only can we help make your special day perfect for you, we can get great group rates.